The time-dependent Schrödinger equation (TDSE) describes the quantum dynamical nature of molecular processes. 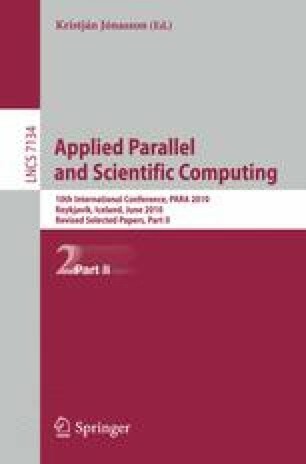 However, numerical simulations of this linear, high-dimensional partial differential equation (PDE) rapidly become computationally very demanding and massive-scale parallel computing is needed to tackle many interesting problems. We present recent improvements to our MPI and OpenMP parallelized code framework HAParaNDA for solving high-dimensional PDE problems like the TDSE. By using communication-efficient high-order finite difference methods and Lanczos time propagators, we are able to accurately and efficiently solve TDSE problems in up to five dimensions on medium-sized clusters. We report numerical experiments which show that the solver scales well up to at least 4096 computing cores, also on computer systems with commodity communication networks.